Specially designed for DJI OSMO Pocket Handheld Gimbal Camera. 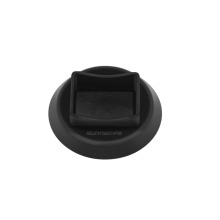 The bottom area of support base is larger, it will help your OSMO Pocket more stable to place on the tabletop. EVA soft pads can protect the bottom of OSMO Pocket well. Bottom with anti-skid pads, safe and stable to use. Portable and lightweight, easy for storage.